Ahoy all plus size pirates! 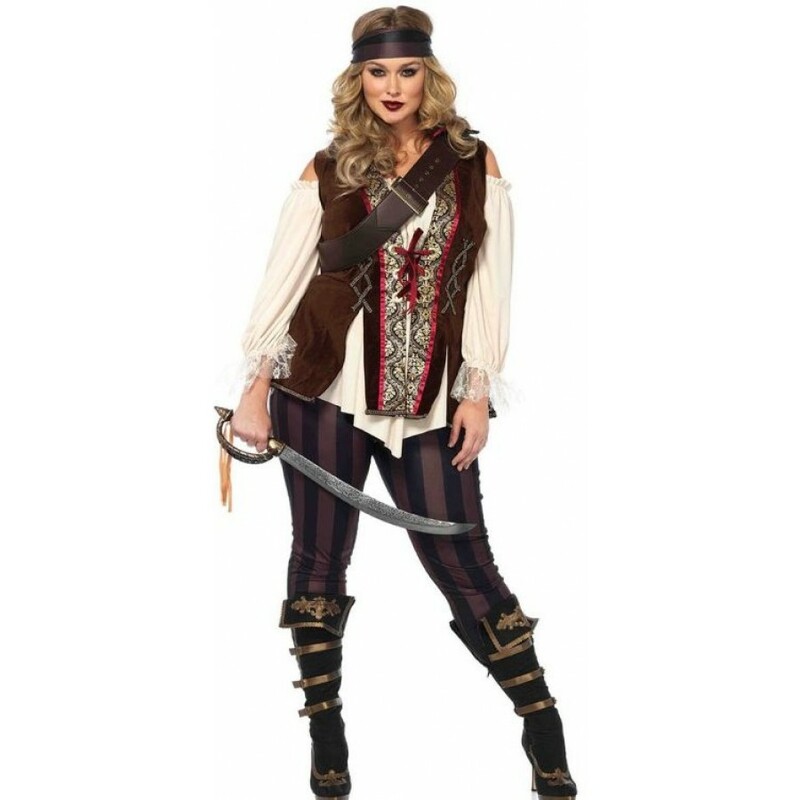 This 4 piece Captain Blackheart costume is perfect for pirate festivals and Halloween! 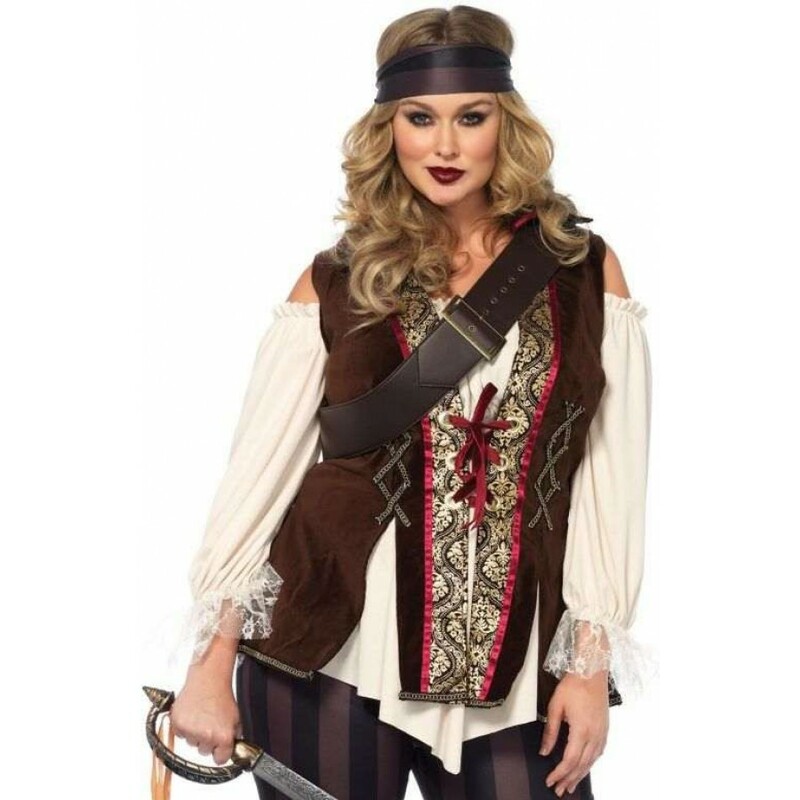 This 4 piece Captain Blackheart plus size pirate costume includes the cold shoulder shirt with attached vest accented with brocade and gold braid. The black and brown striped leggings lengthen your legs. The set also includes the matching headscarf and cross body strap. Item Number: LA-c85634X | Approximate Size (Inches): 10.00 wide x 3.00 deep x 14.00 high | Approximate Shipping Weight: 2.00 lbs. Perfect for men or women as pirate or costume boots - or any time! 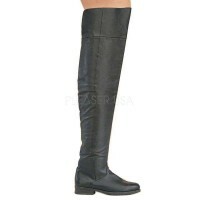 Thigh high length black..